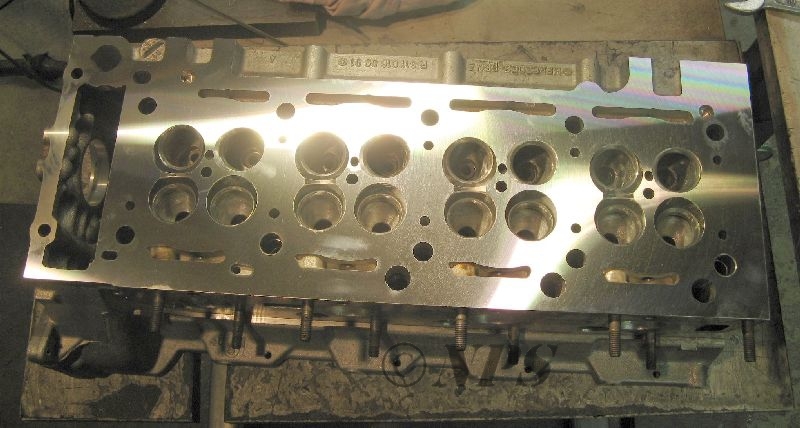 IDI Diesel engines cylinder head requirements differ some what from gasoline engines. 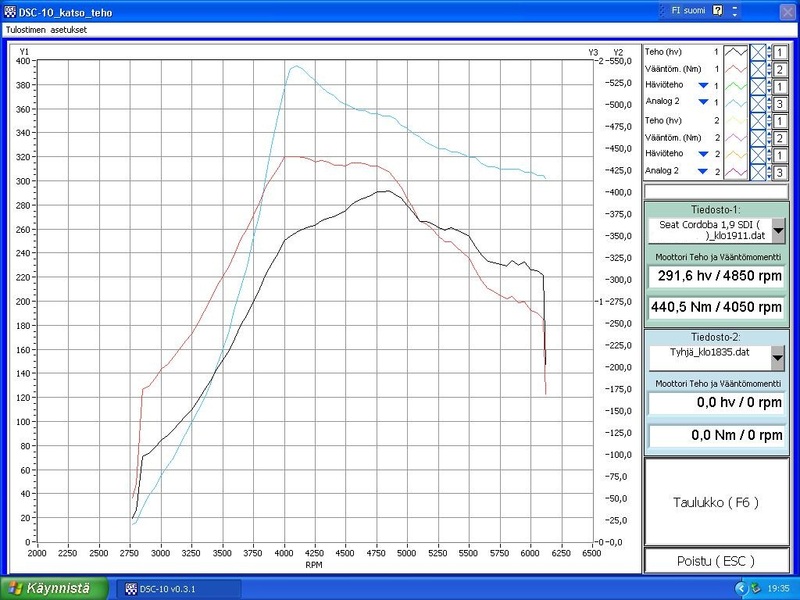 But with low rpm Direct Injection (DI) Diesels swirl comes a much more important factor than any other type of engine. 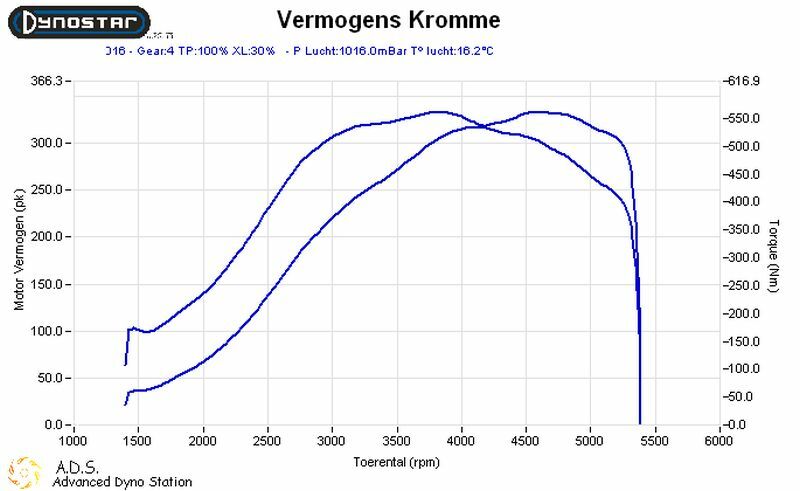 Swirl should not be sacrificed for flow volume and quality of flow makes or breaks combination. 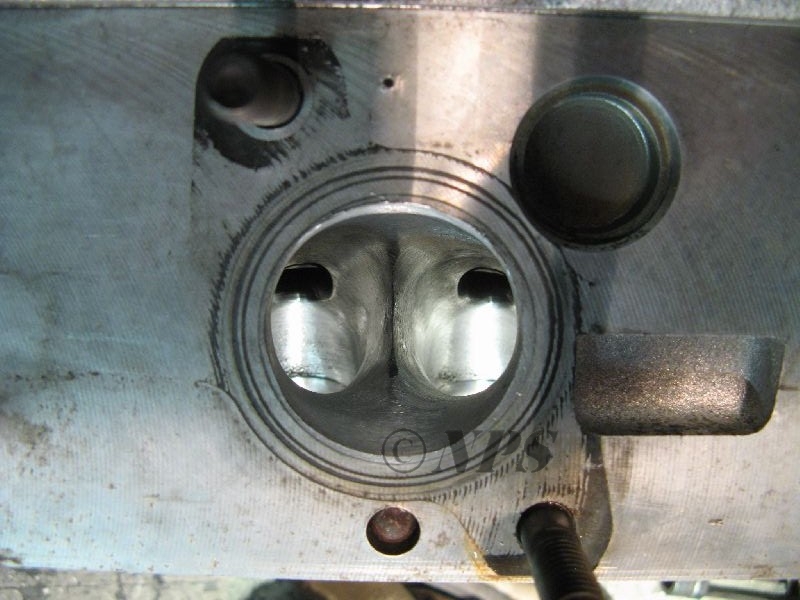 If gasoline or InDirect Injection (IDI) head development is hard because of flow speed and cfm decisions, DI head raises complexity even more by bringing swirl ratio variable which is really hard to measure effectively or to understand what ratio is required for each type of engine and RPM. 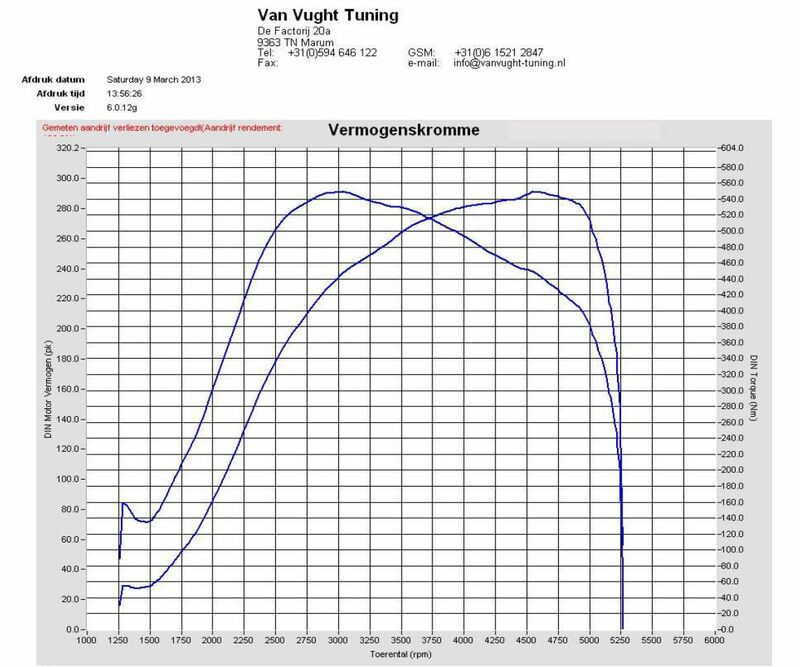 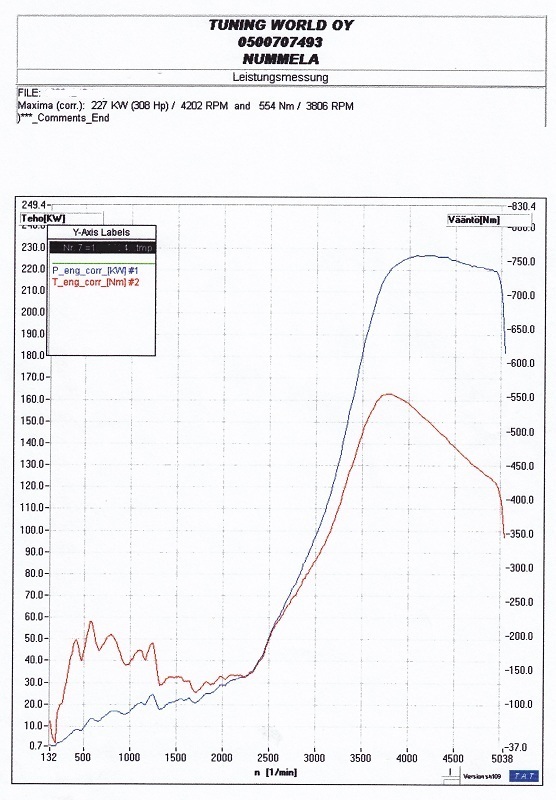 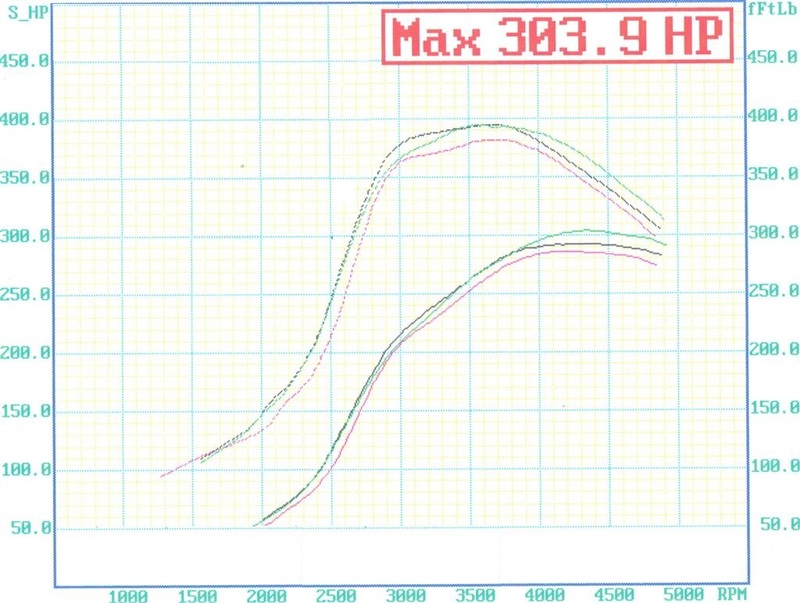 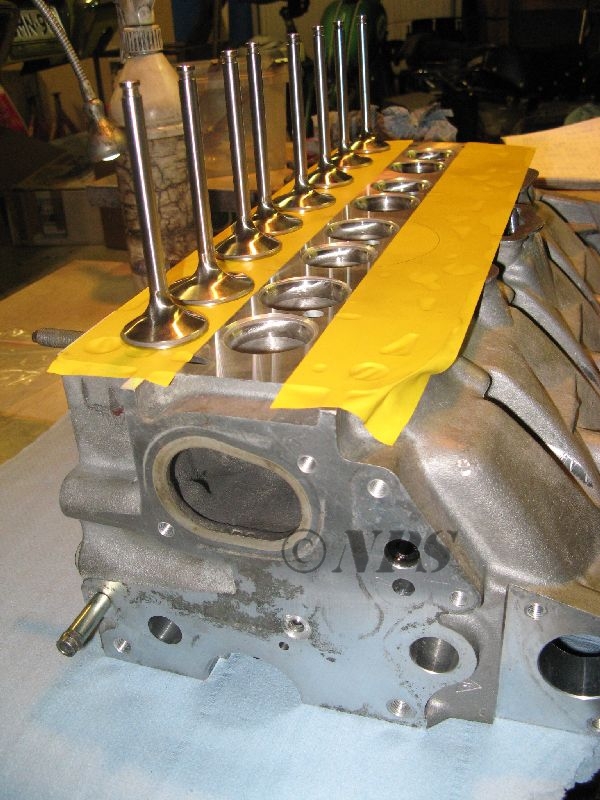 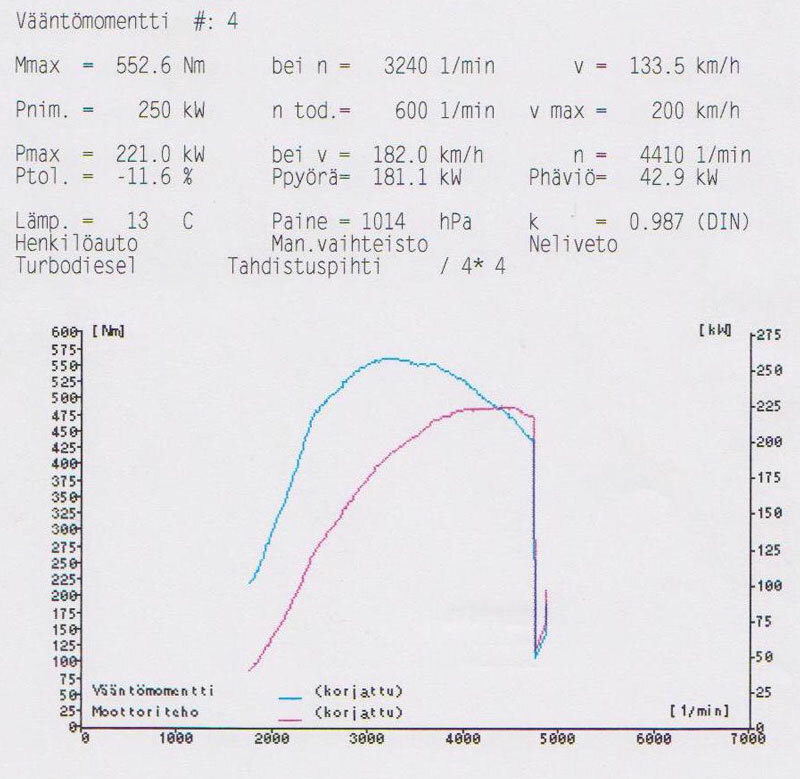 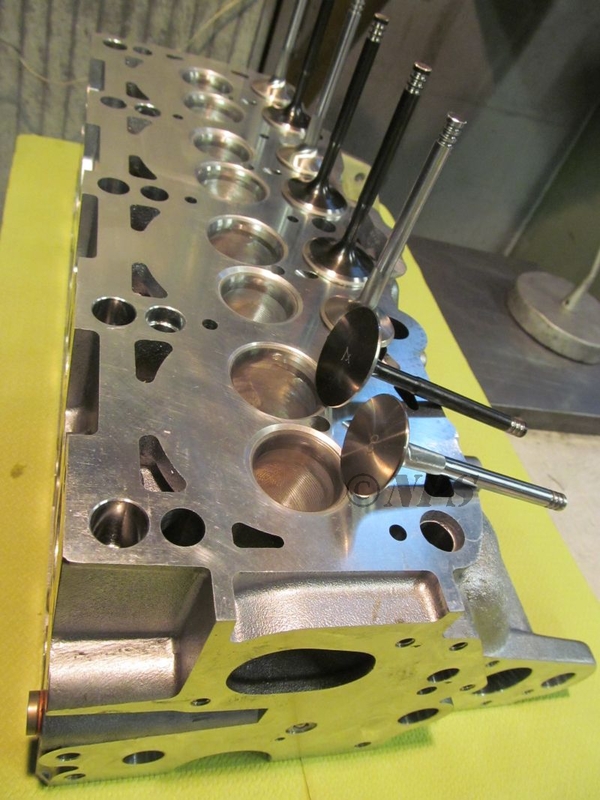 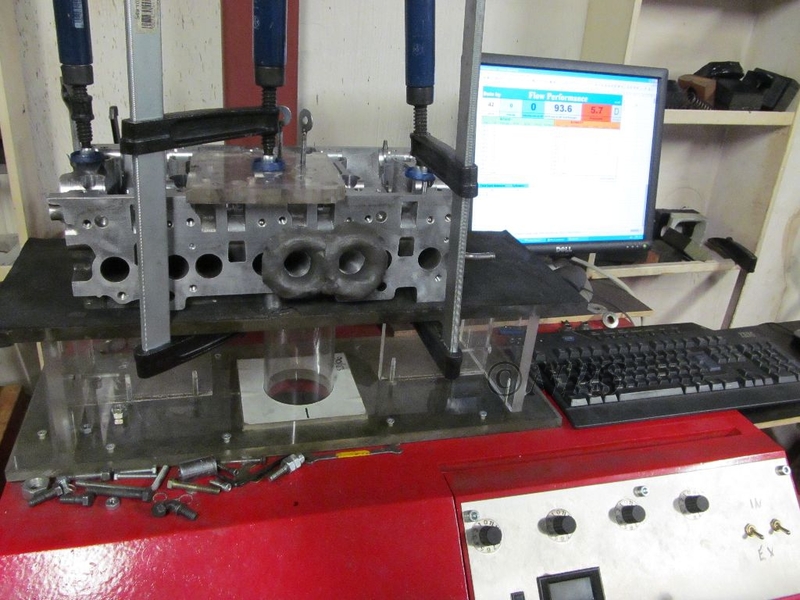 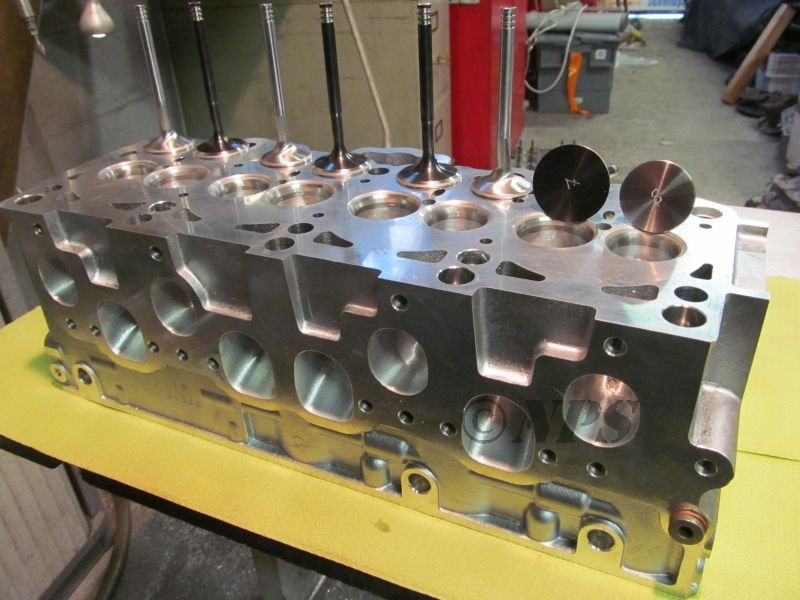 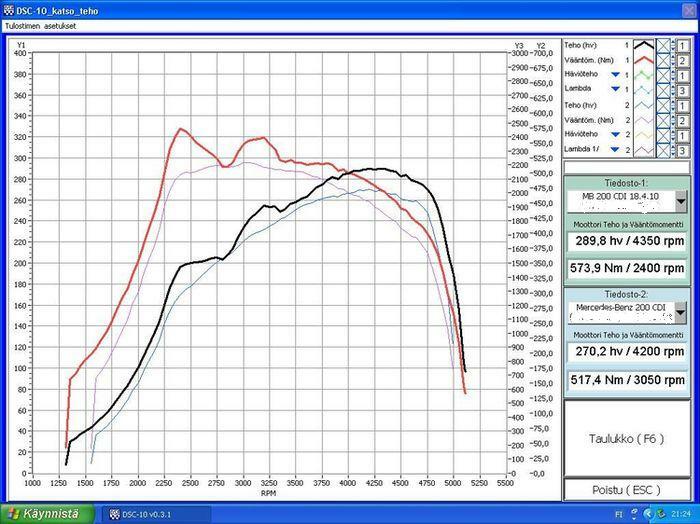 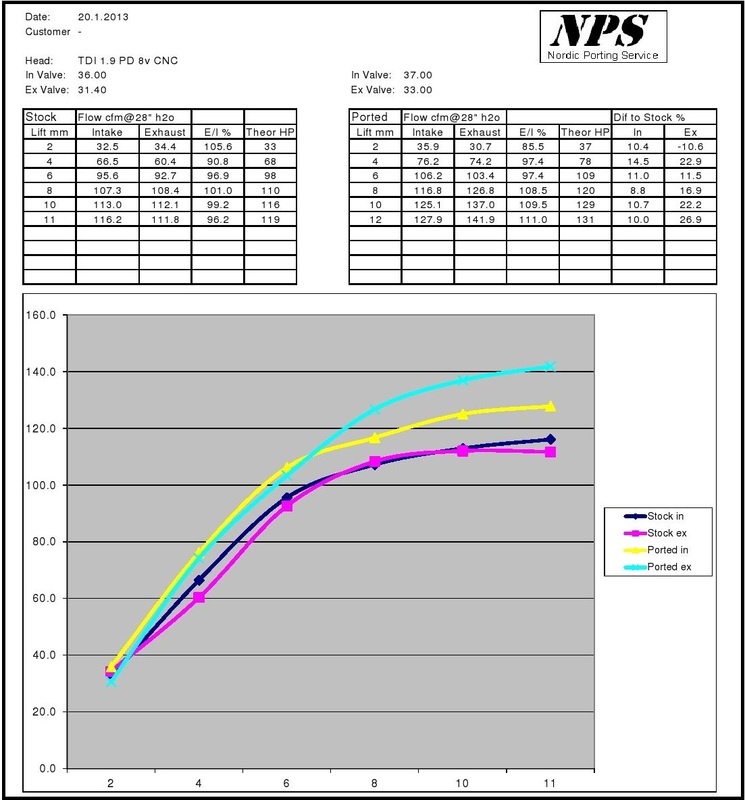 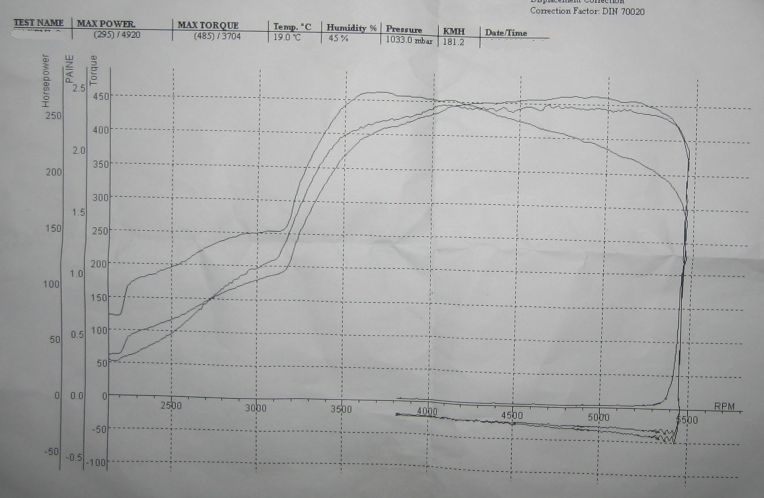 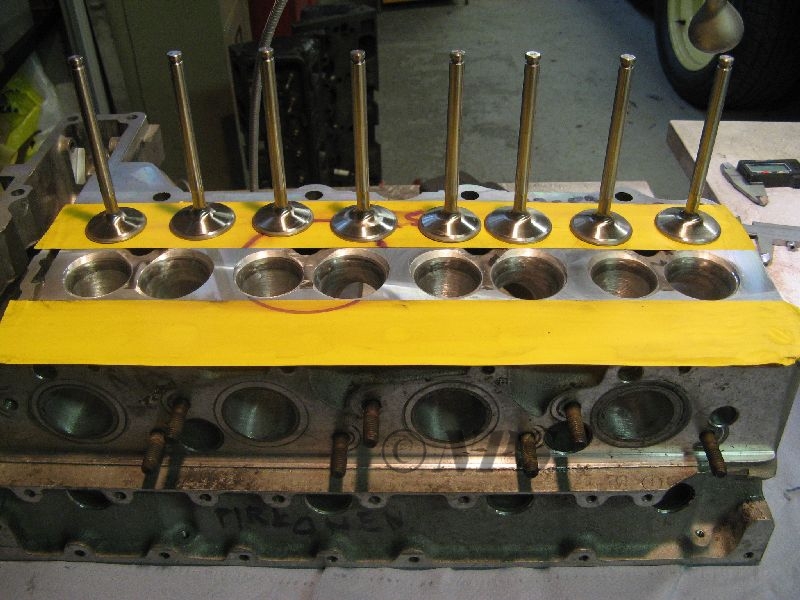 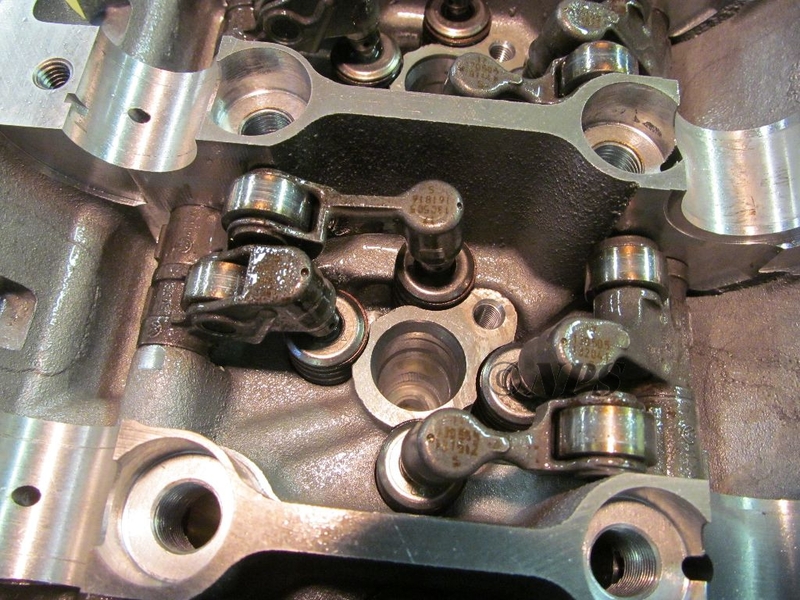 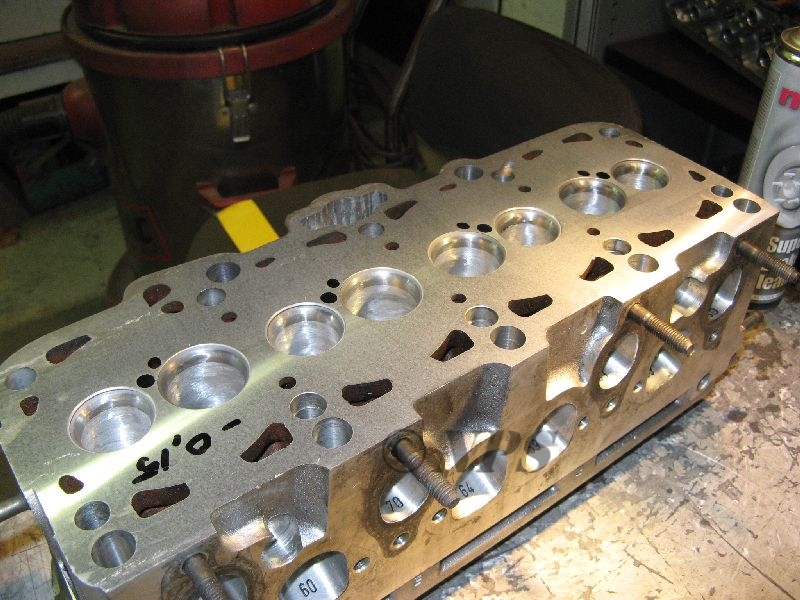 Below pictures and dyno graphs from successful cylinder heads. 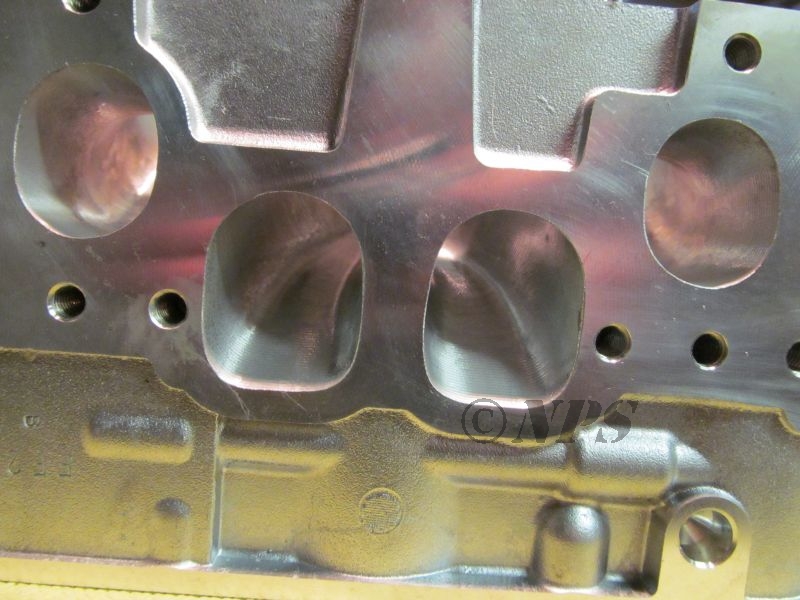 We have CNC port profile for VW TDI 1.9 8v PD head. 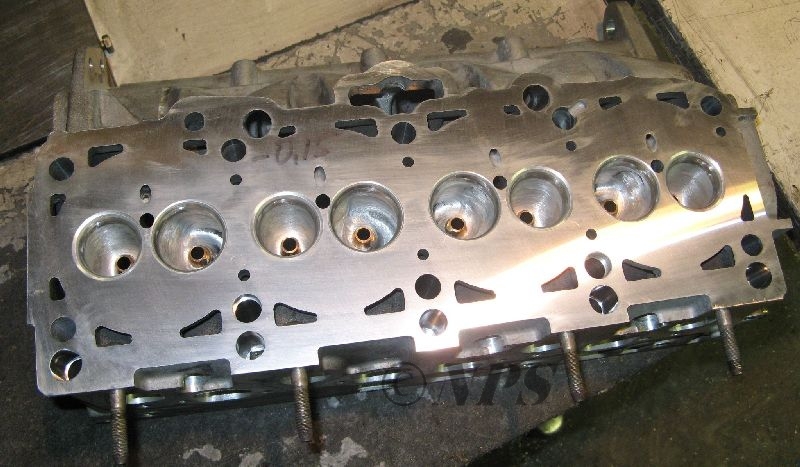 Head is fully CNC machined and hand finished for superior performance. 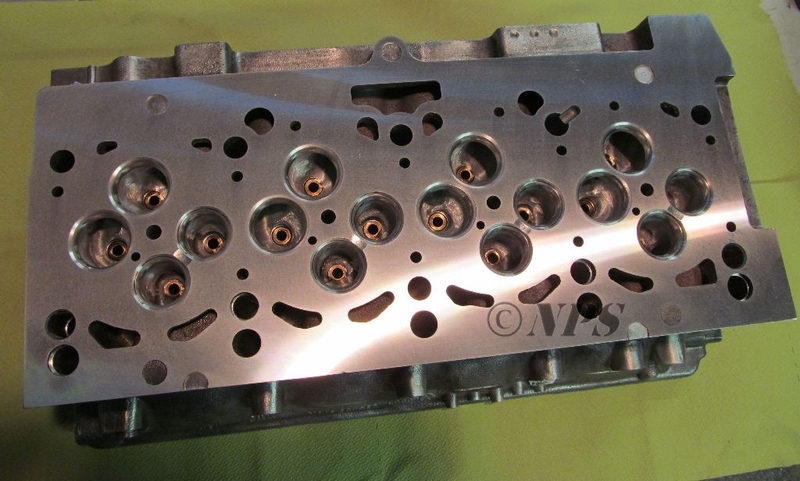 Head in picture is AMC head, but master ports were made to OEM head. 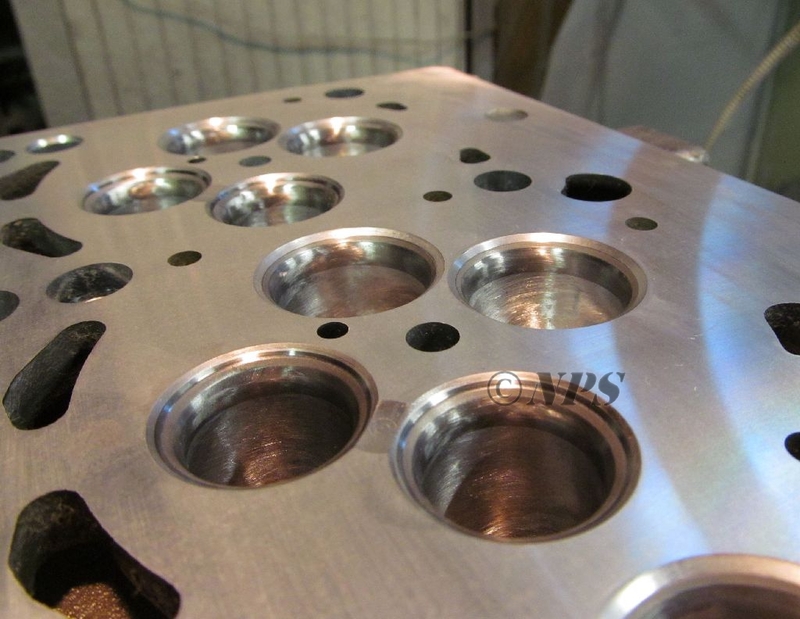 Valves can be custom made for needed size, but CNC profiles work perfectly with stock valves as well. 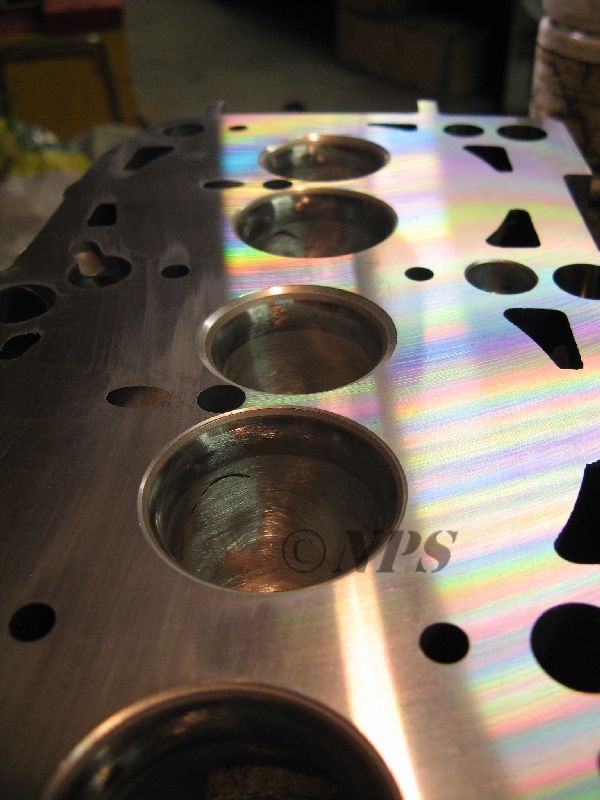 Prices, "Stages" and more details in web hop.